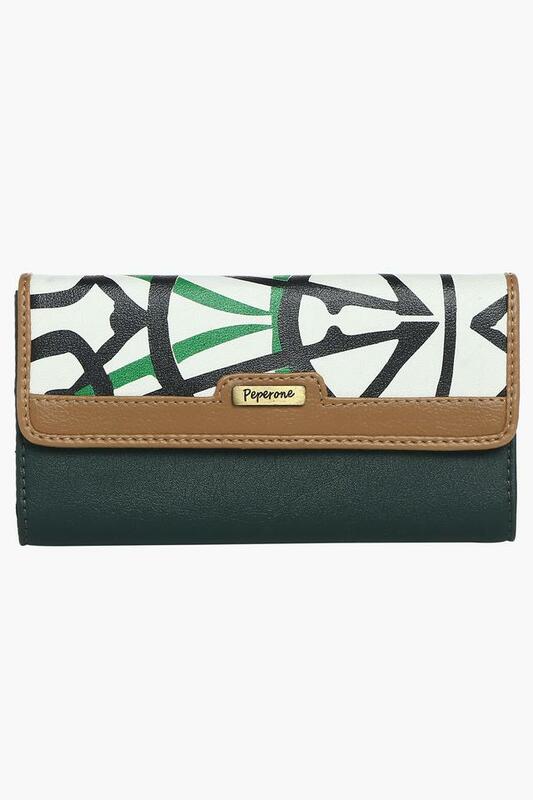 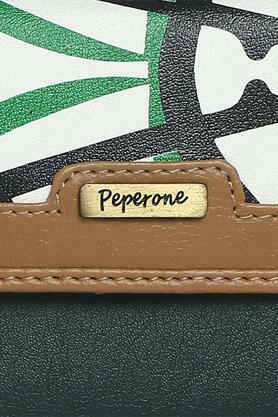 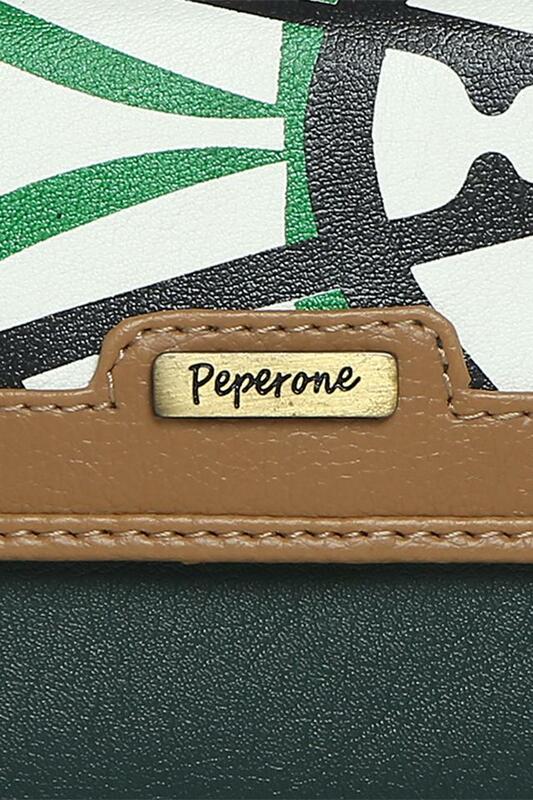 Express your style better by carrying this twofold wallet presented to you by the popular brand, Peperone. 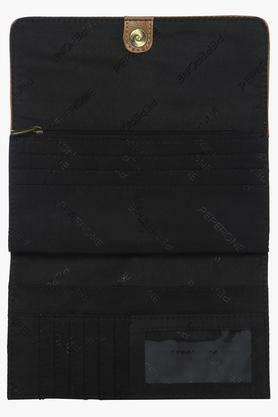 Crafted from fine quality synthetic leather, it is quite easy to maintain. It also features a snap closure that promises a secure storage of your belongings. 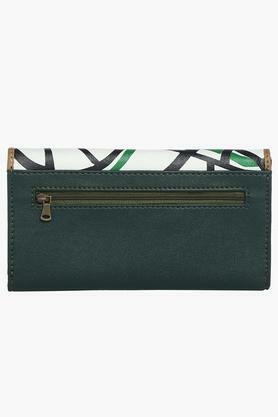 The outer slip zip pocket further adds to its utility. 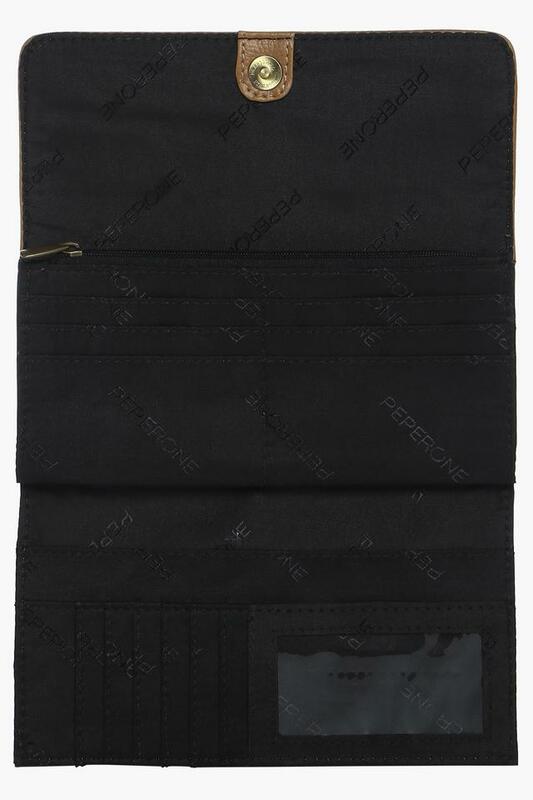 Make your own style statement by carrying this wallet, which has been designed to perfection. It comes with a print pattern that lends it a distinct appeal.